We are tremendously pleased to launch our new direct service to Gothenburg, our second gateway into Sweden. Gothenburg is both an important business centre and a growing tourist destination which is becoming increasingly popular with visitors. This new gateway will offer our Swedish passengers more even convenience and enhanced connectivity to an extensive choice of destinations on our global route network. We invite all to experience the unique charm of Gothenburg, and look forward to welcoming all on board. Sweden is Scandinavia’s largest economy and one of Europe’s strongest. New direct routes are an important contributing factor, as improved market connectivity is crucial for Sweden´s tourism, businesses, ability to attract investments and exchange of knowledge. 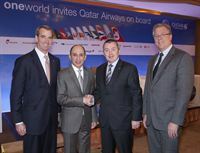 We are very pleased to welcome Qatar Airways to Gothenburg, its second gateway into Stockholm. We are also delighted that in five years, Qatar Airways has doubled traffic on the direct route between Doha and Stockholm, significantly increasing connectivity between Sweden and the rest of the world. Swedavia President and Chief Executive Officer, Mr. Jonas Abrahamsson. Qatar Airways regards our shareholding in China Southern Airlines as an important part of our strategic investment in the largest airline in one of the world’s fastest growing aviation markets. China Southern Airlines is one of the most prestigious airlines in the Chinese domestic market and an important market player in the world, with massive potential for cooperation in the future. 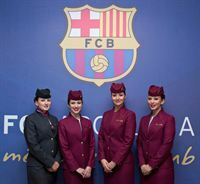 Given the complementary strengths and resources of each of China Southern Airlines and Qatar Airways, there are opportunities for us to work together and build a long term relationship in ways that would bring benefits to customers of both airlines. 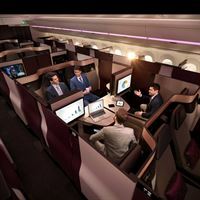 The investment is a clear demonstration of Qatar Airways’ continued commitment to connecting travellers across all corners of the world in a way that is meaningful and convenient. 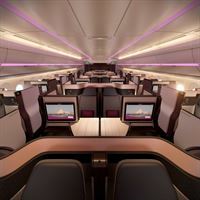 Qatar Airways very much looks forward to the opportunity to deepen our working relationship with this great airline and further enhance the travel opportunities across the globe. It is with great pleasure that we announce the launch of direct services to Gothenburg, our second gateway into Sweden. 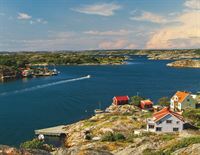 Gothenburg is a charming city with much to offer both business and leisure travellers. This new direct route demonstrates our commitment to expanding our presence in the Nordic countries, a highly important market for us, and to further connecting these destinations on our global network. We look forward to introducing travellers from around the world to this beautiful city. Sweden is the largest economy in Scandinavia, and at the moment it is also the strongest in Europe. New direct routes are an important contributing factor, as they improve connectivity to markets that are crucial to the Swedish business community, the visiting industry and attract capital and knowledge to the region. This direct route is the result of successful cooperation, where we, together with the region, have shown Qatar Airways the potential in the Western Swedish market. Therefore, it is with great pleasure that Swedavia and western Sweden jointly welcome this large Middle East airline to Gothenburg Landvetter Airport. 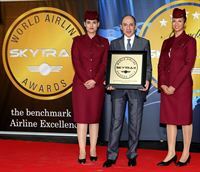 These prestigious awards show how far Qatar Airways has come in such a short time. 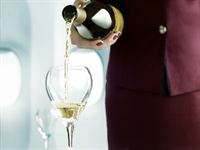 In just over 20 years, we have risen from a small regional carrier to become a global airline, committed to innovation and to delivering the highest standards to our passengers. 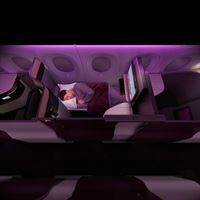 The patented Qsuite represents our commitment to innovation, as this revolutionary Business Class seat continues to set new benchmarks in the aviation industry. To have been awarded such accolades, in spite of the illegal blockade against our country, is a reflection of our commitment to excellence, innovation and to providing all passengers the finest service in the skies. 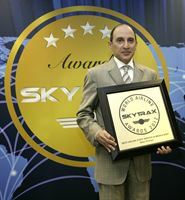 The fact that the Skytrax awards are voted for by travellers makes them especially meaningful and reconfirms that our passenger-focused strategy continues to deliver the highest level of satisfaction to our loyal customers. Vi er meget stolte af og taknemmelige for, at et af verdens mest prestigefyldte flyselskaber har valgt Boca Juniors som en del af deres regionale udvidelsesstrategi i Sydamerika. Vi er sikre på, at denne aftale bliver meget udbytterig for begge parter i deres arbejde for at opfylde deres både kort- og langsigtede mål. Det er en stor fornøjelse at kunne bekendtgøre dette historiske partnerskab mellem AS Roma og Qatar Airways – to fantastiske varemærker med globale ambitioner. 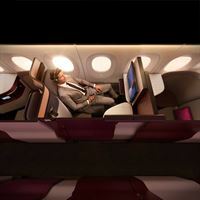 Dagens bekendtgørelse er resultatet af diskussioner, der har pågået bag kulisserne med Qatar Airways i mere end otte måneder. Det er primært vores forretningsteam i London, der har deltaget i forhandlingerne med støtte fra hele Roma-holdet . Bekendtgørelsen kommer på et afgørende tidspunkt i klubbens historie både på og uden for banen. Sidst på året tager man spadestikket til et nyt stadium, og for første gang i 34 år er holdet med i semifinalen i Champions League, så det er et spændende tidspunkt at være en Roma-fan. 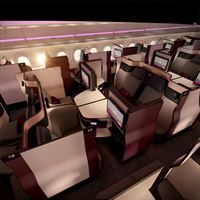 Vi er stolte af at skulle bære Qatar Airways’ navn på vores trøjer, og vi ser frem til i fællesskab at opnå sports- og forretningsmæssig success i mange år fremover. Qatar Airways is delighted to be supporting Germany’s most-winning team, FC Bayern München. 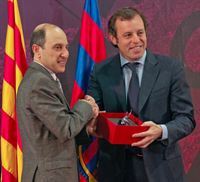 We look forward to working with, and engaging with, the club, the fans, and the people of Germany to help make a real difference through this exciting new partnership. Sport is a key pillar of the long-term vision of the State of Qatar, and as Qatar’s national carrier, we welcome the opportunity to use sport as a means of bringing people together. FC Bayern München is a club that exemplifies ambition, innovation and integrity at its core. These are values we share, admire and are fundamental to Qatar Airways.